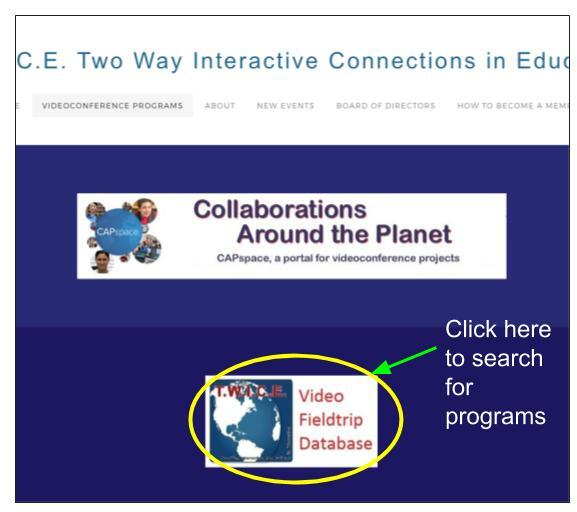 Choose “Videoconference Programs” and then the “Video Trip Database”. 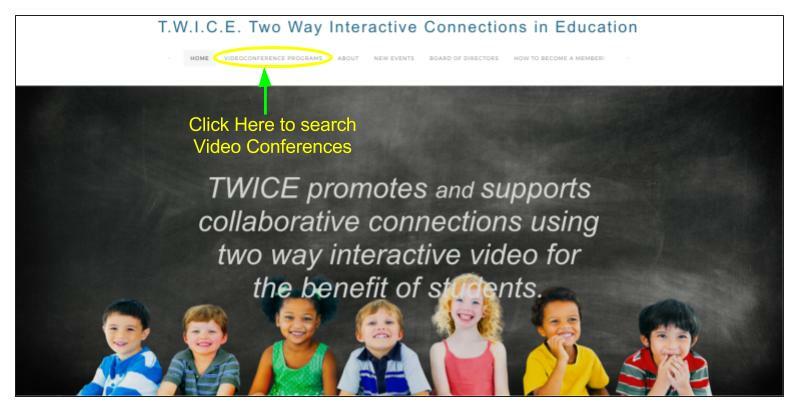 Note: The collaborations option is to collaborate with other teachers. There are other groups (Google+) that offer similar options as well. 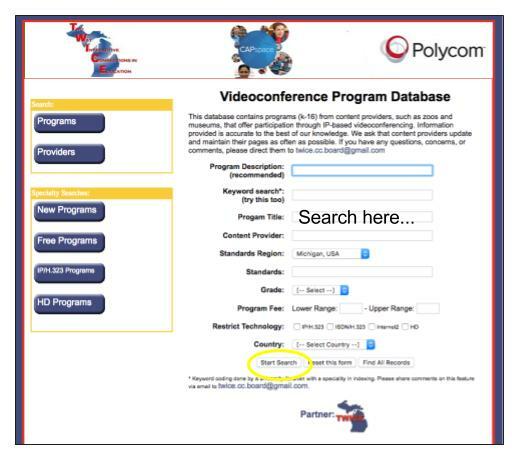 Choose your region (ours is Michigan) then choose “Search Programs”. Search for a program. 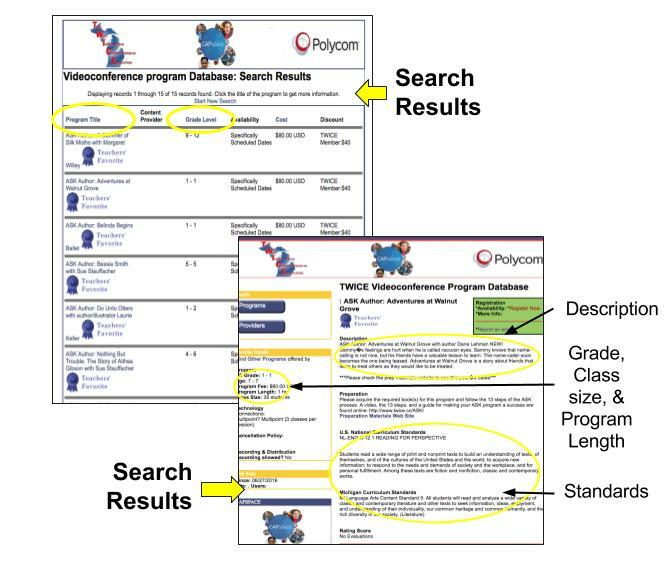 Note: You may wish to search by program description or keyword; if you know the title you can also search by Program Title.